It makes sense: “The Words,” a movie largely focused on writers and the art and craft of writing, offers several nods to Ernest Hemingway. 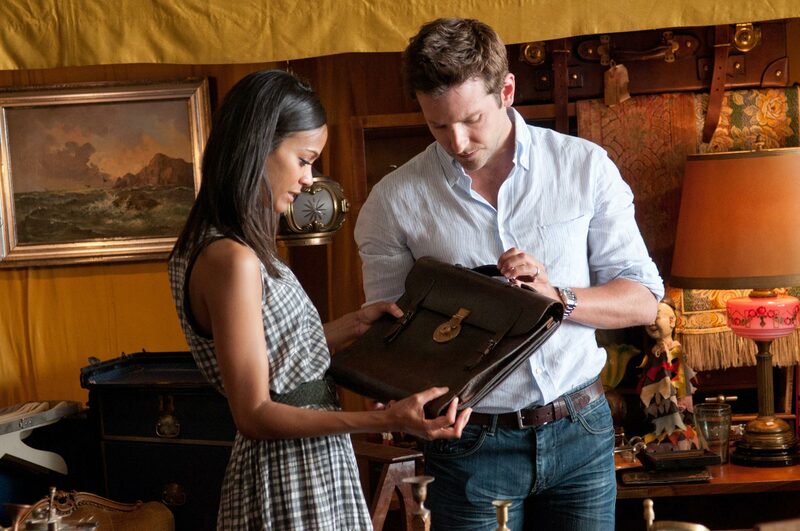 In one sequence, a young writer (Ben Barnes, left, with co-star Zoe Saldana) sits at a Paris cafe, just after World War II, smoking, and reads Hemingway’s “The Sun Also Rises”; later, angry about a personal tragedy, he knocks the same book off a shelf and throws his manual typewriter on the floor. In another passage, set in Paris, circa now, another struggling writer (Bradley Cooper) views a plaque memorializing Hemingway’s stint in the city during the 1920’s. The film, structured as a story within a story within a story, is well written, and features several impressive acting performances, particularly Jeremy Irons as an elderly man whose long-lost manuscript is discovered, decades later, by another writer, who proceeds to pass off the book as his own. Great to see Hemingway continuing to get much love in popular culture lately (HBO’s entertaining if misguided “Hemingway and Gellhorn”; Paula McLain’s beautifully written novel “The Paris Wife”; Woody Allen‘s “Midnight in Paris”). Meanwhile, some academics have decided, for reasons of political correctness, to disdain the great writer and his works. “The Words,” co-written and co-directed by Brian Klugman and Lee Sternthal (making their directorial debuts), opens this Friday.